Managed and leased the 4000 No. I-35 building from 2000 to 2003. 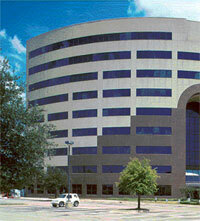 The Southfield Building is a 20-story office tower in the southeast section of Austin. It is occupied by one major tenant and is approximately 150,000 s.f. Several interior and exterior improvements and energy maintenance systems installations were and have significantly benefited this property. Property was sold in 2004 to local investors with a very favorable return on investment.